How to complete a task. With multi-stage moves, the first stage of task establishes all items that are expected for subsequent tasks. As such, the completion process for the later stages is different. Ensure all items have been acknowledged (the green check). 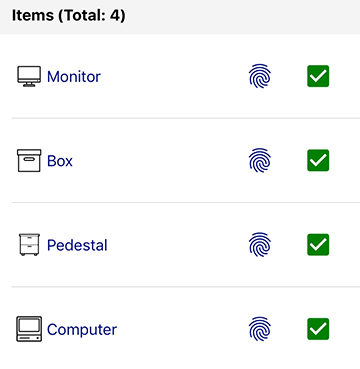 To acknowledge an item, either add a Staza ID barcode to the item or click the blank checkbox to mark it present. Pro Tip: Ensure all items have been acknowledged as being present. 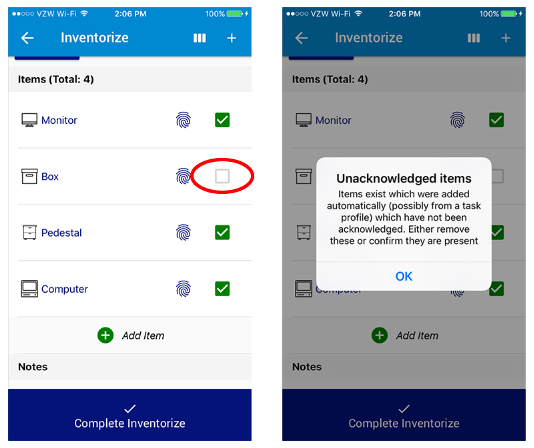 If an item isn't acknowledged on stage one of a multi-stage task, the user will receive the "unacknowledged items" prompt shown below. 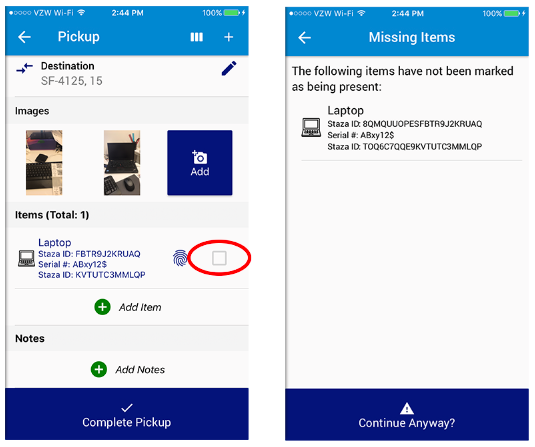 Pro Tip: For stages 2+, a task can be completed without all items present, but the user will receive the "Missing Items" prompt shown below.